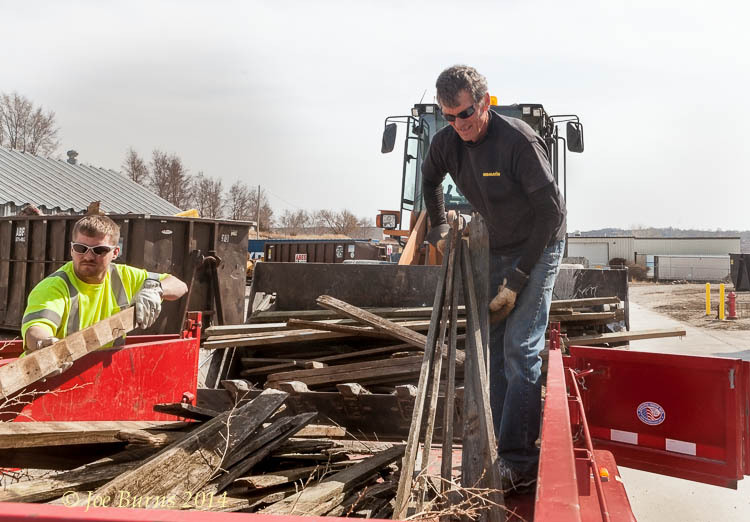 Jesse Johnson assists Bobby Rand unload old fence lumber at the Blair Public Works yard at Third Avenue and Colfax. Autos, trucks with trailers are lined up at the city yard to drop off discarded litter and yard wast. The last day of that the yard will be open to collect material is Sunday, April 13 from 10 AM to 5 PM.